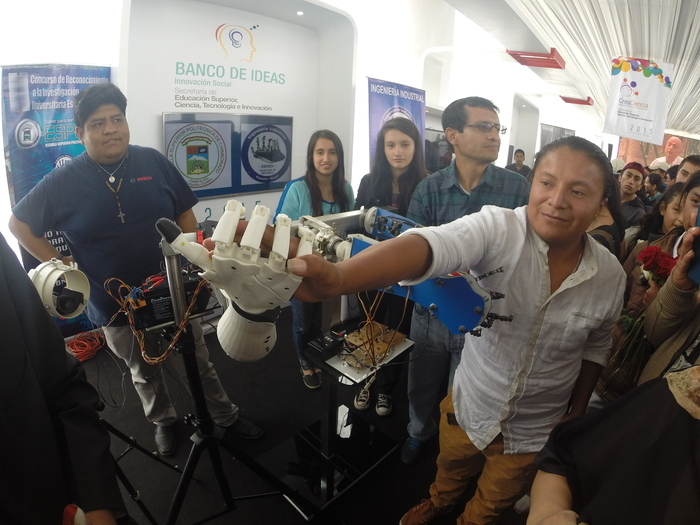 From January 15th until the 18th, the country’s largest science and technology fair was held in Yachay, Ecuador. The fair, called “Innópolis: Knowledge is Freedom,” was the first national event which combined national and international experiences on entrepreneurship and innovation. The score of the 4 days of Innópolis was 75 lectures, 200 technology projects, 18,000 visitors nationwide, 7 winning projects out of 500 applications nationwide, 40 academic events, 1,200 connected devices and 4 programs produced for use and improvement of hardware and software. The Ecuadorian government is generating the conditions to reinforce a culture of innovation, supporting creative and proactive citizens, always focusing on the development of knowledge in the country. That is why Yachay was created as a planned city for innovation, offering the perfect environment for research and development to generate entrepreneurship and investment in high technology. The “City of Knowledge,” as Yachay is known, is an innovation ecosystem. It connects institutions, infrastructure, and the talent needed to promote and strengthen the link between academia, government, and industry.